You are currently viewing Archived reports for the week of 23 May-29 May 2012. 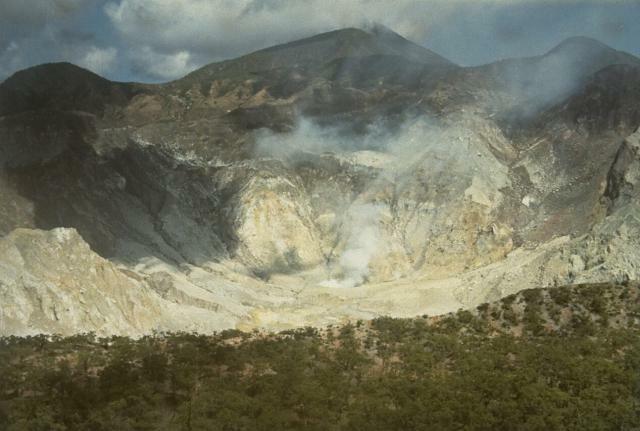 JMA reported eight explosive eruptions from Sakura-jima's Showa Crater during 21-25 May and a small eruption from Minami-dake Crater on 23 May. Based on information from JMA, the Tokyo VAAC reported that during 23-24 and 26-28 May explosions produced plumes that rose to altitudes of 1.8-4.6 km (6,000-15,000 ft) a.s.l. and drifted SW, S, SE, E, and NE. 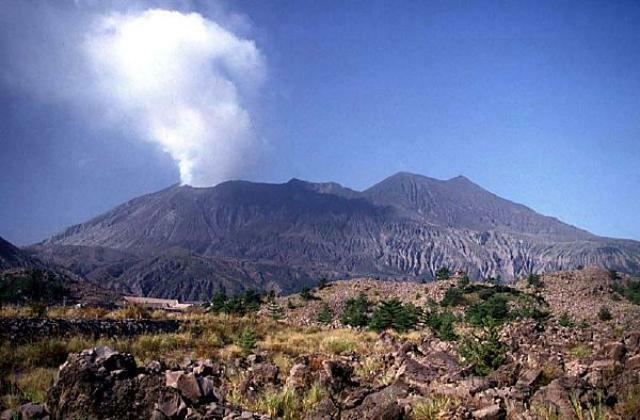 AVO reported that during 23-29 May satellite observations of Cleveland's summit crater revealed nothing unusual; no ash emissions or other signs of unrest were detected or reported. 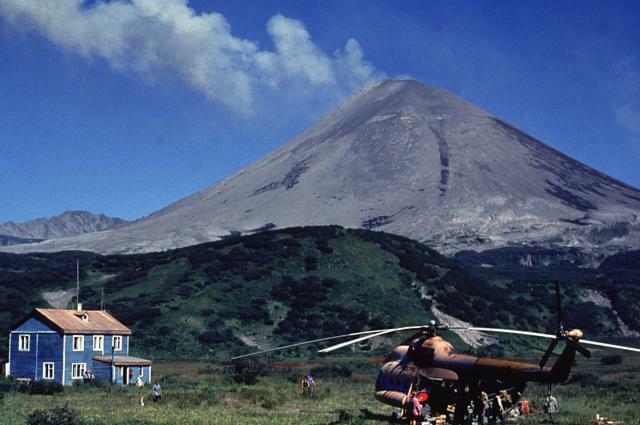 The Volcano Alert Level remained at Watch and the Aviation Color Code remained at Orange. 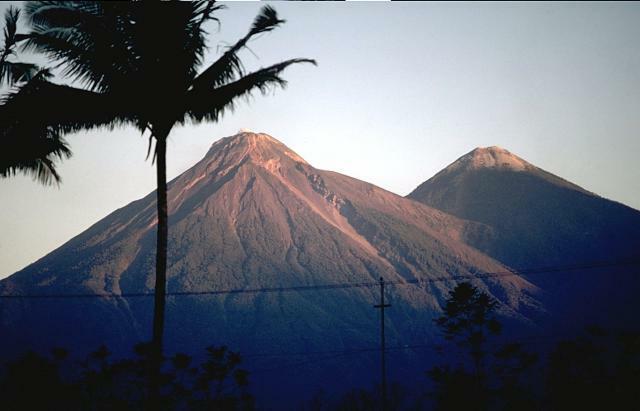 Based on analyses of satellite imagery, the Darwin VAAC reported that on 25 May an ash plume from Dukono rose to an altitude of 4.5 km (14,000 ft) a.s.l. 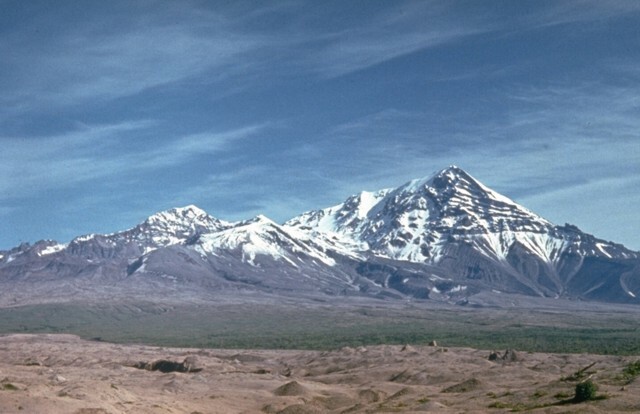 and drifted 185 km E. Ash plumes again rose to an altitude of 4.5 km (14,000 ft) a.s.l. drifting 130 km E on 27 May and 93 km NE on 28 May. 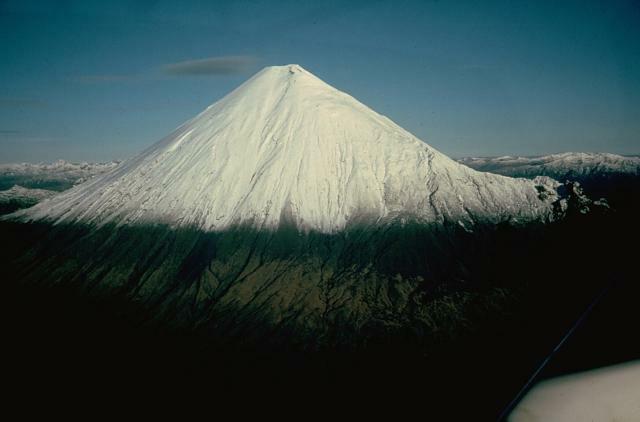 An ash plume rose to an altitude of 3 km (10,000 ft) a.s.l. and drifted 75 km NE during 28-29 May. 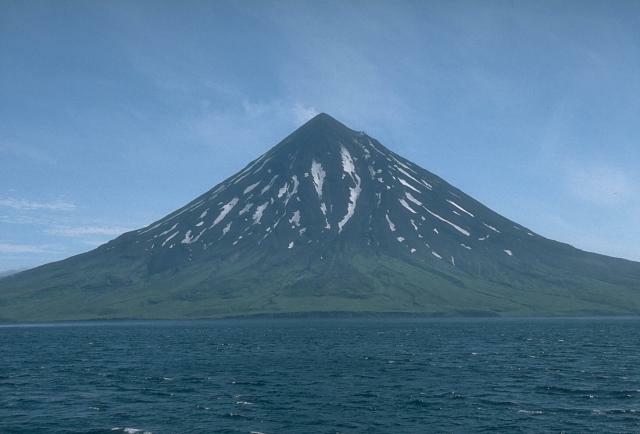 KVERT reported that moderate seismic activity from Karymsky continued to be detected during 18-25 May, and indicated that possible ash plumes rose to an altitude of 2.2 km (7,200 ft) a.s.l. on 17 and 19 May. 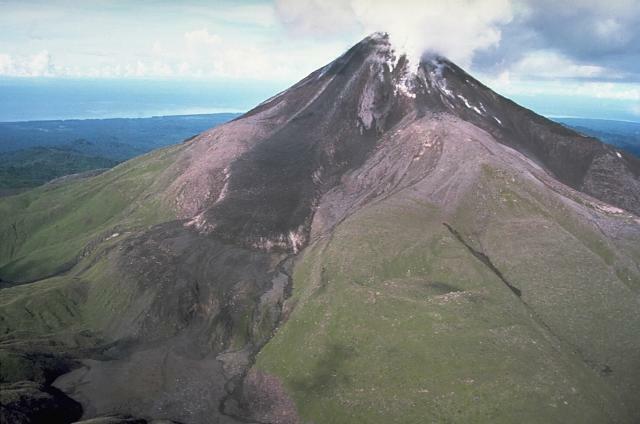 Satellite imagery showed a thermal anomaly on the volcano during 17-18, 20, 22, and 24 May. The Aviation Color Code remained at Orange. Based on information from the Yelizovo Airport (UHPP) and analyses of satellite imagery, the Tokyo VAAC reported that on 27 May an ash plume drifted NE at an altitude of 3 km (10,000 ft) a.s.l. 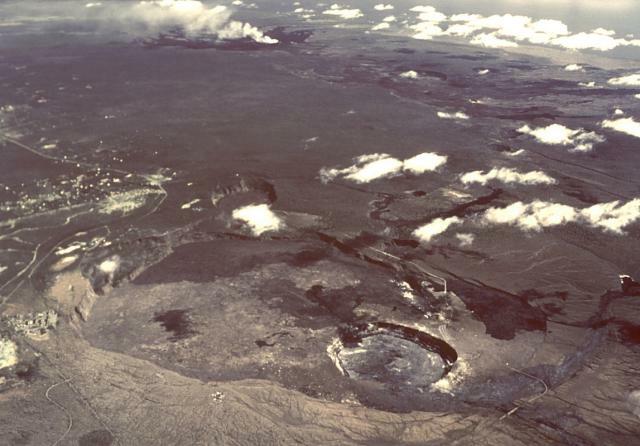 During 23-29 May HVO reported that the circulating and spattering lava lake periodically rose and fell in the deep pit within Kilauea's Halema'uma'u Crater. Parts of the inner ledge and crater wall surrounding the lake occasionally collapsed into the lake. Almost daily measurements indicated that the gas plume from the vent continued to deposit variable amounts of ash, Pele's hair, and occasionally fresh spatter from the margins of the lava lake, onto nearby areas. The level of the lava pond in a small pit on the E edge of Pu'u 'O'o crater floor dropped out of view. A small lava flow erupted from a vent on the S part of the floor on 23 May. On 28 May HVO noted that lava-flow activity on the coastal plain SE of Pu'u 'O'o appeared to have stopped. 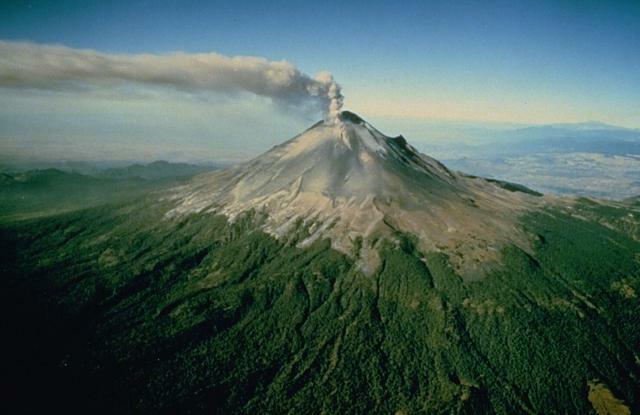 CENAPRED reported that during 23-29 May gas-and-ash plumes from Popocatépetl rose up to 2 km above the crater and drifted in multiple directions. Cloud cover occasionally prevented observations of the plumes. Ashfall was reported in San Pedro Benito Juarez (10-12 km SE) and Huejotzingo (27 km NE) on 23 May, and in Atlixco (23 km SE) and San Pedro Benito Juarez on 25 May. Incandescent fragments ejected from the crater landed on the flanks during 23-26 May. Incandescence from the crater was visible on 27 May. The Alert Level remained at Yellow Phase Three. 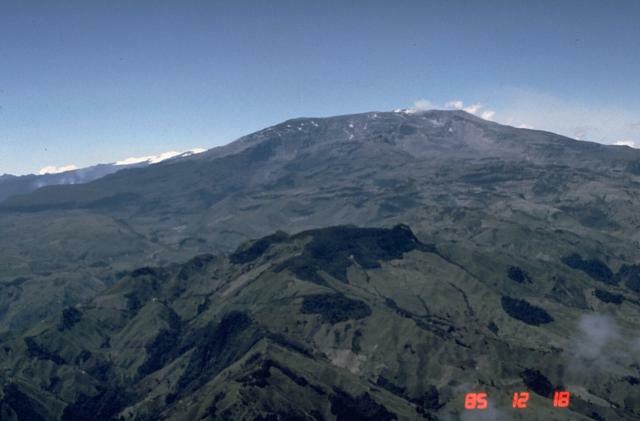 INSIVUMEH reported that during 22-23 and 28-29 May explosions from Santa María's Santiaguito lava-dome complex produced ash plumes that rose 400-900 m above Caliente dome and drifted E, SE, and S. During 26-27 May explosions produced ash plumes that drifted W. Avalanches were generated by the W part of the lava dome and from lava flows. On 29 May lahars traveled S down the Rio Nima I and San Isidro drainages, carrying tree branches and blocks 1-1.5 m in diameter. KVERT reported that during 18-25 May explosive activity at Shiveluch continued and a thermal anomaly was observed daily in satellite imagery. 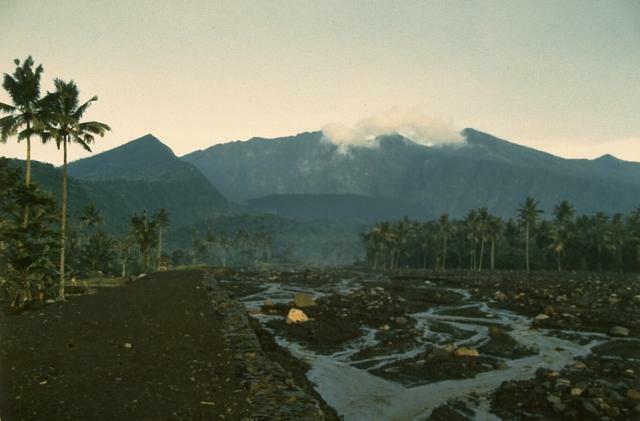 Ground-based observers and satellite imagery indicated that a viscous lava flow continued to effuse in the active crater, and was accompanied by fumarolic activity and lava-dome incandescence. 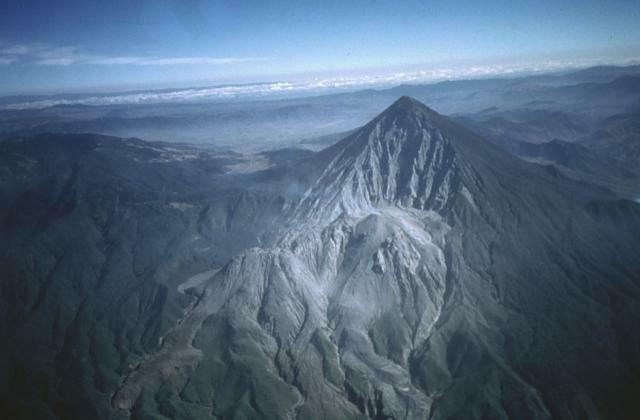 On 19 May seismic data indicated that possible ash plumes rose to an altitude of 9.5 km (31,200 ft) a.s.l. 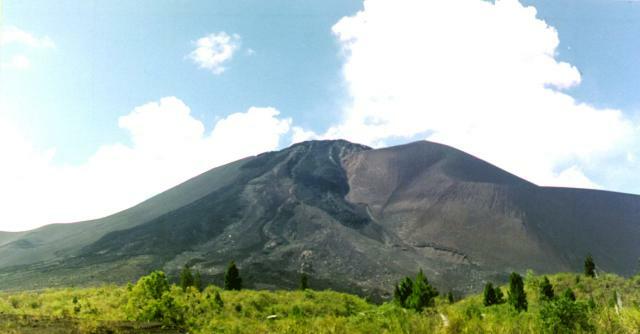 On 20 May observers noted ash plumes rising to altitudes of 8-9 km (26,200-29,500 ft) a.s.l. ; satellite images showed ash plumes drifting 410 km SW. The Aviation Color Code remained at Orange. Based on information from KVERT and KEMSD, and analyses of satellite images, the Tokyo VAAC reported that during 26-29 May ash plumes from eruptions and possible eruptions rose to altitudes of 7-9.1 km (23,000-30,000 ft) a.s.l. 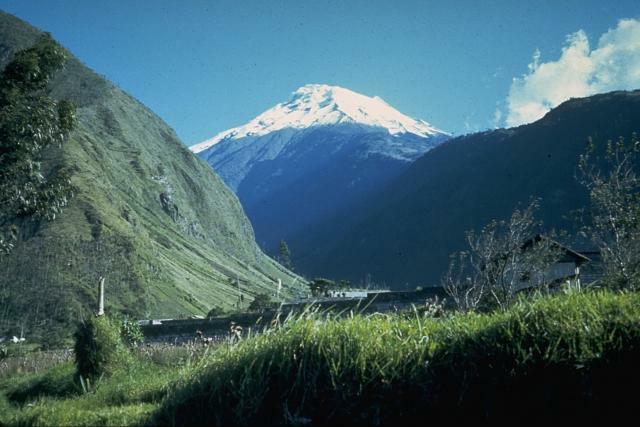 and drifted SE, W, and SW.
IG reported that during 23-24 May gas-and-ash plumes from Tungurahua drifted SW, W, and NW. Ashfall was reported in Mapayacu (SW), Puela (8 km SW), Manzano (8 km SW), Cahuají (8 km SW), and Riobamba (30 km S). 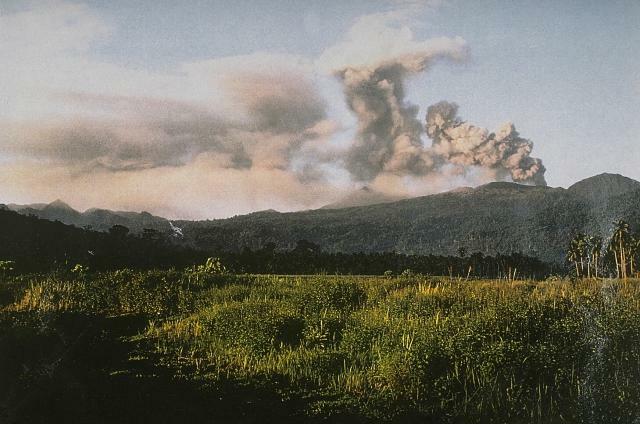 An explosion detected on 25 May was accompanied by roaring and sounds resembling rolling blocks. An ash plume rose 2.5 km above the crater and drifted NW. A steam-and-gas plume rose 200 m and drifted W. Cloud cover prevented observations during 26-29 May. Ashfall was reported in Manzano and Choglontus (SW) on 29 May.